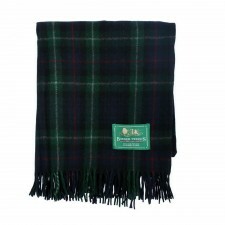 Gretna Green has a fabulous range of exceptional quality Scottish soft furnishings to choose from. 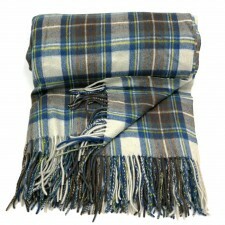 Add a touch of Scottish style flair along with warmth and comfort with a range of blankets and throws from Scottish designers. 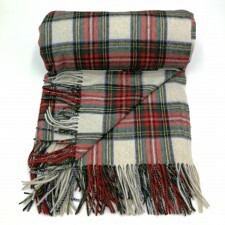 With a wide selection of Scottish wool, tartan and tweed throws to choose from - create a comfortable and inviting space in your home. 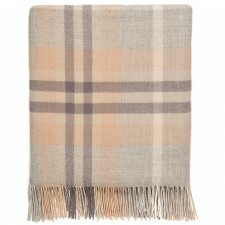 Our blankets are ideal as a throw for your home - perfect to lay on over a bed or a sofa. Equally, they're fantastic for popping in the car to use outdoors as a picnic rug or keeping your knees warm during the colder months. Our wide range of Scottish Cushions and Decorative Throw Pillows are also a fantastic way to add a splash of colour and style to any chair, couch or bed. Want to sleep comfortably and in style? Gretna Green also offers a number of bedding sets and bedspreads that bring warmth, colour and comfort to your boudoir. NB. Here in Scotland, the word "Rugs" is often used to describe a tartan blanket rather than a floor covering. We have a great range of both - but just be aware as you're looking at the descriptions of our fabulous quality Scottish products.